Garry's Gaming Blog: Dear Esther: The world's first Interative poem? 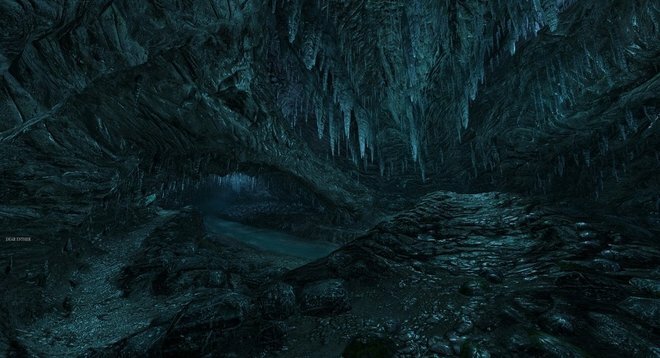 Dear Esther: The world's first Interative poem? 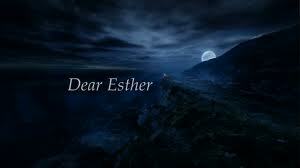 I've heard a lot of rubbish said about 'Dear Esther,' both from the pro and anti lobbies. So I decided to give my own take on this rather unique peice of entertainment software. The story is told by allowing the 'player' to wander freely through a 3D landskape, where the plot progression is marked by peices of auidio being delivered over the ever changing background music at randome points as the player progresses through the landscape. This audio loosly describes a journey, or back-story; through seemingly disjointed peices of a letter, or the unnamed narrator's reflections. Technically the new version more-or-less follows the same basic story as the original MOD, but it runs as a stand-alone game with much improved graphics and sound. In addition to this, the play-area has been increases, as has the story content. I've often seen people slating this version, saying 'I won't pay money for a commercial release of a MOD.' Well to them I would ask if they have ever seen the difference betwear the stand-alone game reworking against the origonal MOD? First off the graphics are vastly superiour in the full-game version, being compleatly redone and IMO impruved almost out of all recognition. Secondly the game has been expanded both in breadth of playing arera and in depth of story. The overall effect of all this makes for a much more impressive experience. You are most defenetly not paying cash for a commercial re-release of a MOD. Dear Esther is an award-winning and critically acclaimed title, and IMO it deserves this recognition. It also purportedly 'made its costs back in the first five and a half hours on sale.' Not bad for what some called an art-house indi game. But there has even been quite a heated debate over whether or not 'Dear Esther' can in fact be called a 'Game' (quotes and all) but I can't fail to think that those slating it as 'not a game' are failing to get the point. After all, If it isn't a game then it isn't a game. Surely the proof of any entertainment-program is whether or not it entertains. And to me it does a very good jobe at what is does. What it defenetly dosn't do is 'Call of Duty' or and other FPS you care to mention. Because 'Dear Esther' is not a FPS. Surely by definition you can't have a First Person Shooter game without any shooting. Then the makers never said it was an FPS. Would I call this a game? To be honest I'm not sure, I also don't think it matters what I call it, except good. So is it, as some of the more arty reviews say, an Interactive poem? Well, like youre take on 'A Game' it's all down to definition, 'A Poem' is largely what people think a poem is, and if you think it is a poem then, for you, it's a poem: just like whether or not you think it is a game. As I said, not for everyone.